While cannabis may not be as life-threatening as heroin or cocaine is, but developing a cannabis addiction is possible and can have immensely adverse effects on the body and brain. Cannabis is one of the most preferred drugs on the market due to it being easily available and the various methods of ingestion. Forming a cannabis addiction can happen quite easily, even faster than some people may realise is possible. However, managing an addiction to cannabis, like any drug, is an entirely achievable goal to set with addiction treatment. Otherwise known as marijuana, grass and weed the cannabis plant is, in fact, several different types of plant and is used in the production of hemp-based products such as oil and fabric. It is also widely known for the use of the buds as a recreational drug, the main effects being euphoria and change of awareness. These effects and accessibility of the drug mean that cannabis is one of the most commonly used drugs in the U.K. with over 6% of adults surveyed had used it in the last year and over two million people in total. The most significant percentage of cannabis users were under the age of 24, almost a million stating they had used it that year. Marijuana disorder which goes hand in hand with addiction to cannabis is seven times more likely to affect young users under eighteen. It is therefore vital to deal with an addiction to marijuana as quickly as possible with expert help from a professional rehabilitation team. At DetoxPlus, we understand that there is no one-size-fits-all solution to cannabis addiction. For the results of treatment to be long-lasting, cannabis treatment has to be tailored to each individual’s unique needs. By taking a personalised, comprehensive approach to recovery, we set clients up for success in the most suitable treatment clinic. Cannabis can be taken in a wide variety of ways with medical users offered capsules, throat sprays, lozenges and vapour. The most common method of recreational use is smoking cannabis in cigarettes, although the rising popularity of vaporisers has led to these being used by those looking to reduce the harmful effects of smoking. Other users avoid smoking by putting cannabis into food especially cakes and other sweets, and this is also popular due to one of the side-effects of cannabis being an increase in appetite and cravings. The very short-term effects of cannabis can be divided into two main categories, pain relief for sufferers of some chronic diseases and the feeling of euphoria, relaxation for recreational users. Sufferers of chronic pain and those experiencing the side effects of chemotherapy are in some regions prescribed medical cannabis in the form of capsules, patches or smokable buds. The active ingredients of cannabis are cannabidiol (CBD) and tetrahydrocannabinol (THC) which can be used to help reduce painful spasms for suffers from Multiple Sclerosis (MS.) In the U.K., these ingredients are found in the prescription throat spray Savitex. On the other hand, the effects which motivate the recreational use of cannabis are generally agreed to be a heightened mood, relaxation and perception change. However, marijuana users can often experience a range of negative short-term effects from taking the drug such as increased appetite, anxiety and a decrease in short-term memory. One of the riskiest short-term side effects is the slowing of motor-skills and reaction time while driving, making regular cannabis users (like drink drivers) much more likely to be in a car accident. A great deal of research has been done in recent years about the long-term effects of cannabis addiction on users of the drug. Many discoveries have been made about the potential damage to users’ mental health, fertility and an increase in your risk of heart conditions. Due to the addictive nature of the drug, rehabilitation can be a challenge for frequent users. However, strong support from drug rehab specialists in a drug-free environment can help to ease the process. One of the most harmful effects of smoking cannabis is the damage to the lungs from inhaling the smoke. Either with or without tobacco, cannabis smoke inhalation carries most of the damaging effects of cigarette smoking including the risk of lung, throat and mouth cancer. It also increases your chances of heart disease and stroke due to the chemicals in the inhaled smoke. A lot of attention has been paid recently to the impact of cannabis use on users’ mental health. This has proven particularly relevant, given the popularity of ‘weed’ amongst younger people. The worst damage to users’ brains is in the teenage years. 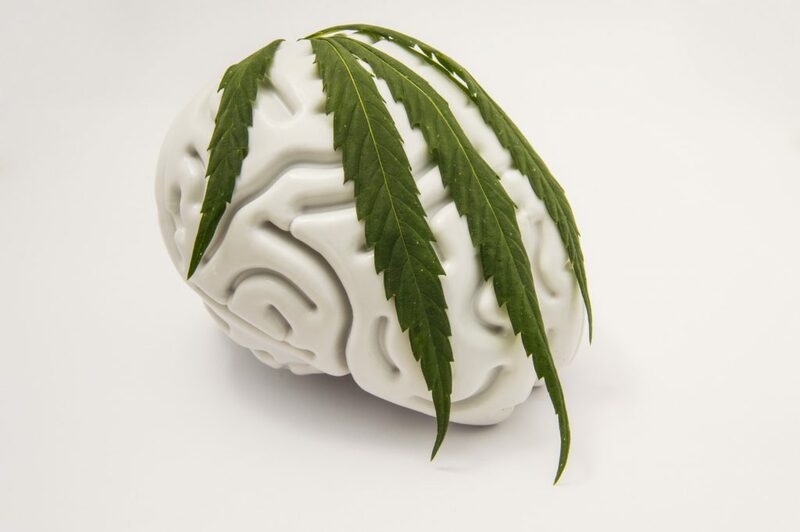 When the mind is developing during this period, the chemicals in cannabis can stall growth and the forming of connections in the brain. In adult users, prolonged use has also led to the development of schizophrenia and other psychotic illnesses. The likelihood of this is increased by having a family history or previous incidents of psychotic illness. The stalling of brain development can also occur in babies when users smoke while pregnant. Premature birth and reduced size are also severe risks for those who smoke while they are expecting. Given the illegal nature of cannabis production, there is also a significant risk of dangerous, unregulated pesticides and chemicals being used to produce it. Fertility can also be an issue for users of marijuana, and studies show that a decrease in sperm count and misshapen sperm and a reduction in ovulation can occur in regular users. Recommendations vary from three to six months between quitting cannabis and attempting to conceive a baby. For those looking to stop marijuana to have a family a cannabis treatment program to help them to manage symptoms and counselling to keep them off drugs is vital to success and the health of their children. The addictive nature of cannabis has recently been the focus of numerous surveys and medical studies. The U.K. NHS (national health service) found that 10% of cannabis users were dependant on the drug. The risk of becoming addicted was also found to be even higher than this for those who used the drug on a daily basis and those who started using as teenagers. Withdrawal symptoms from cannabis use include insomnia, irritability and mood swings. At this time having a cannabis treatment expert on hand 24 hours a day is very important to help with managing the physical and psychological effects. As with many addictive substances such as alcohol and other drugs, there can also be some issues with socialisation. This is particularly significant with cannabis given that many users are in social groups focused on the taking of the drug. Given its addictive nature and the intense social pressure to continue taking it, for many users a treatment program which removes them from social groups with other users is recommended for recovery. For information on how you or someone you love can begin on the road to a cannabis-free life, call DetoxPlus. With an abundance of treatment clinics located in the UK, our counsellors can help you achieve the skills required to live your life without relying on any sort of substance. Our representatives are eager to answer any questions you may have about addiction treatment and recovery. Each call is free and confidential to start your journey to recovery.